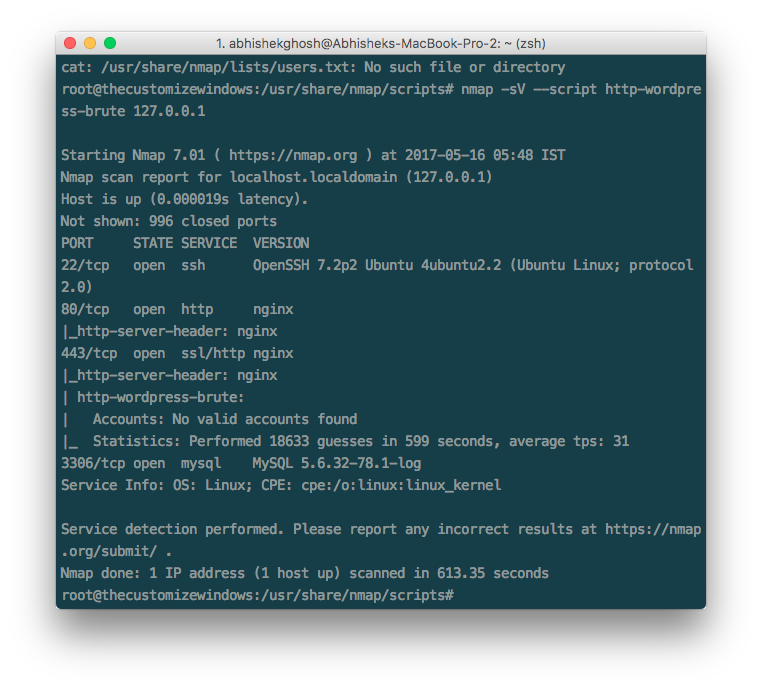 Previously, we talked about how to get started to use Nmap NSE scripts against own WordPress installation for checking vulnerability. There are other two important scanners, one is Nikto and the other is WPScan. WPScan is purely for WordPress whereas Nikto gives information. In this guide we will talk around how to use Nikto & WPScan WordPress vulnerability scanner. We are using Ubuntu server. For the other distributions, you need to look at their official resources. This Article Has Been Shared 7994 Times! Logjam, which allows man-in-the-middle attacker to downgrade the vulnerable TLS connections, apparently created by NSA Threatens the Security of HTTPS. If You Are Under Brute Force Attack. Here is How to Quickly Fix pam_unix(sushi:auth): authentication failure SSH Flood to Terminate Attack. Cite this article as: Abhishek Ghosh, "How To Use Nikto & WPScan WordPress Vulnerability Scanner," in The Customize Windows, May 21, 2017, April 21, 2019, https://thecustomizewindows.com/2017/05/how-to-use-nikto-wpscan-wordpress-vulnerability-scanner/.